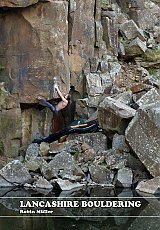 Lancashire Bouldering is the very first guidebook to the bouldering in Lancashire and Greater Manchester. It covers 47 venues in three unique areas: the Bowland fells, the southern quarries and the East Lancashire moors. Alongside full coverage of classic venues like Brownstones, Craig Y Longridge and Thorn Crag, there is also detailed coverage of many previously undocumented crags. With fantastic action photos, full colour photo topos and maps for every crag, this book is designed for everyone from the beginner to the seasoned boulderer. Beginners will find plenty to do at amenable grades - whether they hanker for big days out in scenic locations or just friendly venues ideal for after-work cragging. Those in search of sterner challenges will not be disappointed - there are hundreds of problems in the harder grades, which stretch all the way up to Font 8B. Robin Mueller is a freelance writer and obsessive boulderer. 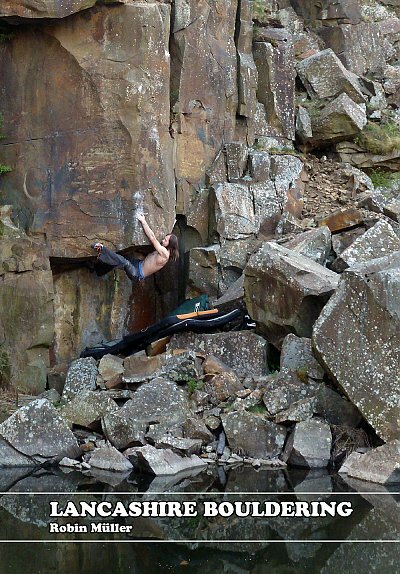 He was born in Lancashire and has been bouldering on red rose rocks for nearly twenty years. He has climbed almost all the problems in the guidebook, making this one of the most well-researched guidebooks in existence.